I’ve been working on the idea for Bright Blogging since 2012. 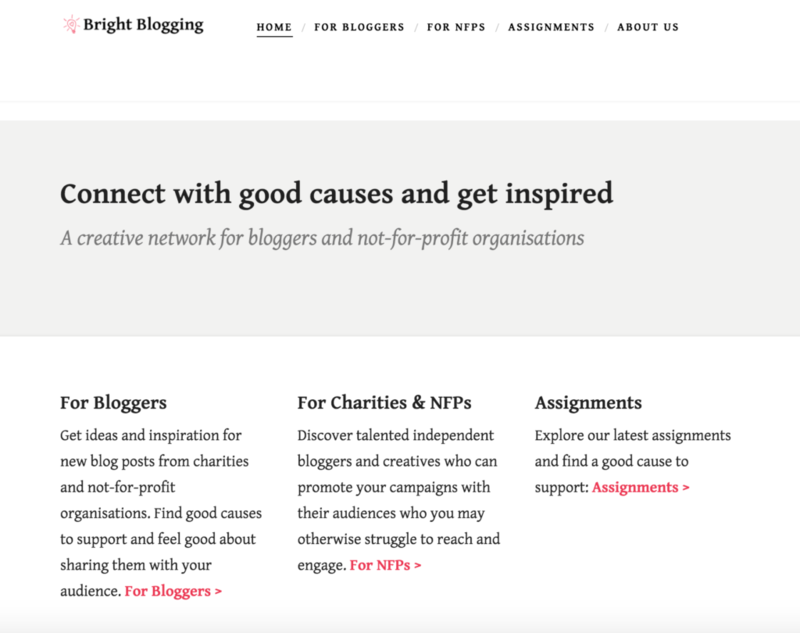 It is a network that aims to connect bloggers with charities and not-for-profit organisations. It aims to give bloggers inspiring assignments that encourage them to create digital content for a good cause, and enable charities to connect and engage with audiences they may otherwise not reach. I have built a basic MVP for the idea here: BrightBlogging.com. I am using WordPress to power the basic site, and I have tweaked things to ensure the basic user experience works as it is. There are many things I can do to improve it! My next step is to get sample assignments online so I can encourage real charities and NFPs to submit real ones.